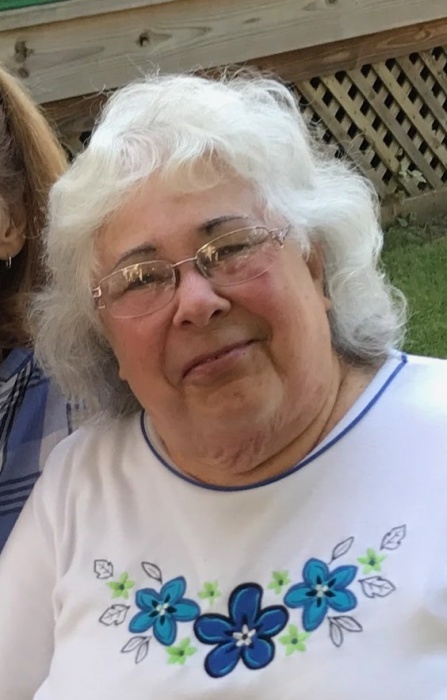 HERMITAGE- Phyllis “Penny” A. Meislik of Hermitage passed away unexpectedly on March 26, 2019 in her residence. She was 76. She was born in Chicago on July 1, 1942 the daughter of Morris and Jean (Price) Miller and was a 1961 graduate of Sharon High School. Penny had worked at the former Westinghouse and as an elevator operator at the former Sharon Store before spending the majority of her life as a devoted homemaker to her husband, children, and grandchildren. She enjoyed knitting, crafts as well as spending time at the senior center and cheering on all the Pittsburgh sports teams. Her husband, Howard Jules Meislik, whom she married on News Year’s Eve in 1967, passed away April 8, 2011. Penny is survived by her three daughters Miriam (Michael) Lee of Pittsburgh; Hannah Holmes of Butler and Myra (James) Ryder of Shaker Heights, OH; five grandchildren Samuel Austin Lee, Charles and Kelly Holmes, and Lachlan and Keegan Ryder; her brother Jay (Lillian) Miller; and by her sister-in-law Judy Greenberger.. In addition to her husband she was preceded in death by her parents and by her son-in-law Charles Holmes. Funeral Services will be held on Thursday at 11:00AM at the Sample-O’Donnell Funeral Home 555 East State St., Sharon with Rabbi Joseph P. Schonberger, officiating. Friends may visit with the family beginning at 10:30AM until the start of the service. Burial will follow at Temple Beth Israel Cemetery, Hermitage. Memorial contributions may be directed to the Shenango Valley Senior Center 220 N. Buhl Farm Dr. Hermitage, PA 16148. To sign the guestbook for Penny’s family, please visit www.sampleodonnellfh.com.